Custom Orthotics reduce stress and strain on your body by bringing your feet and back into proper alignment. 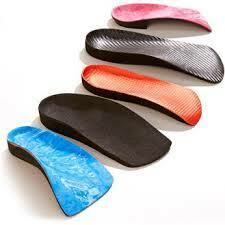 Custom Orthotics can also eliminate many problems such as foot, knee, hip and back pain. Understand the benefits your Insurance Coverage. Our clients often use their Extended Health Care plans ODSP ADP or Circle of Care for our services. Over 10 years serving the community, we are the most trusted in our field. The Best Custom Made Orthotics in the GTA. Call us or Come in for a FREE Consultation. Let Care-Med LTD care for your feet. ``WALK IN`` and feel welcome. Your Insurance Company Trusts Care-Med LTD for Custom Made Orthotics. We realize that you have choices for your orthotic needs. That’s why we stand by our pledge to give you the best in personalized, caring service. 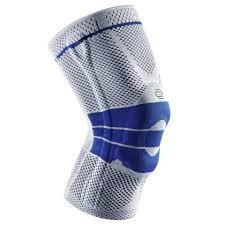 We specialize in Custom Made Orthotics, Custom Ankle-Foot Orthotics, all types of body braces, and compression wear. With over 10 years of experience in Toronto, and hundreds of satisfied clients, we are trusted by your Insurance Company to provide honest assessments, products and service. Come in, or Call us to see what’s right for you. Care-Med LTD Custom Made Orthotics: We offer Premium Custom Made Orthotics that reduce stress and strain on your body by bringing your feet back into proper alignment. Body Braces: We offer all types of Body Braces from top manufacturers like Bauerfeind. Body Braces are designed to provide support for targeted areas in post-operative conditions, as well as a preventative measure against various progressive nerve, muscle or joint injuries. We will help you understand the benefits of your Insurance Coverage. Our clients often use their Extended Health Care plans or, ODSP, ADP, or Circle of Care for our services. With over 10 years serving the community, we are well recognized and trusted in the health care field. We take great pride in our attention to care and detail, and most of all, our clients. We look forward to serving you soon. Foot pain? Knee pain? Ankle pain? Back pain? We have the BEST Custom Made Orthotics in Toronto. 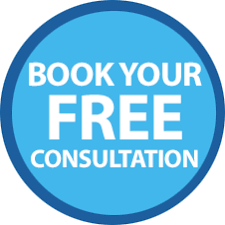 Call us or click below to Schedule your FREE CONSULTATION. Helps correct foot, heel, knee, and back pain. Personalized care is what makes Care-Med LTD unique. When you visit us we will find the right product or service for your specific need. We’ve made every effort to offer our clients the latest technologies in custom made orthotics and foot care to meet your highest expectations. Our certified professionals and caring staff will provide you with an exceptional experience. Call us or Come in. Walk-ins are always welcome. Call to book Now (416) 782-5353. We look forward to seeing you.